The mighty toaster oven may be the most useful small appliance ever, whether you're a college student who needs to heat up your Bagel Bites or a professional looking for a quick way to warm up a frozen pizza after a long day. But that toaster oven is no one-hit wonder. 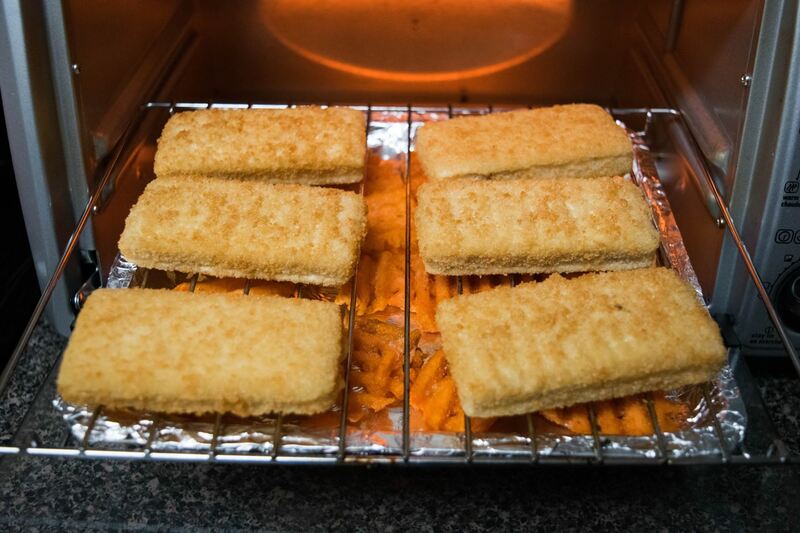 With this smart hack, you can give it double-duty superpowers to heat up not one, but two frozen foods at the same time. Standard toaster ovens come with a metal rack and a bottom baking pan (or drip tray) that fit neatly together. It turns out that a major timesaver is putting one food on the metal rack and the other on the bottom baking pan and cooking them at the same time. 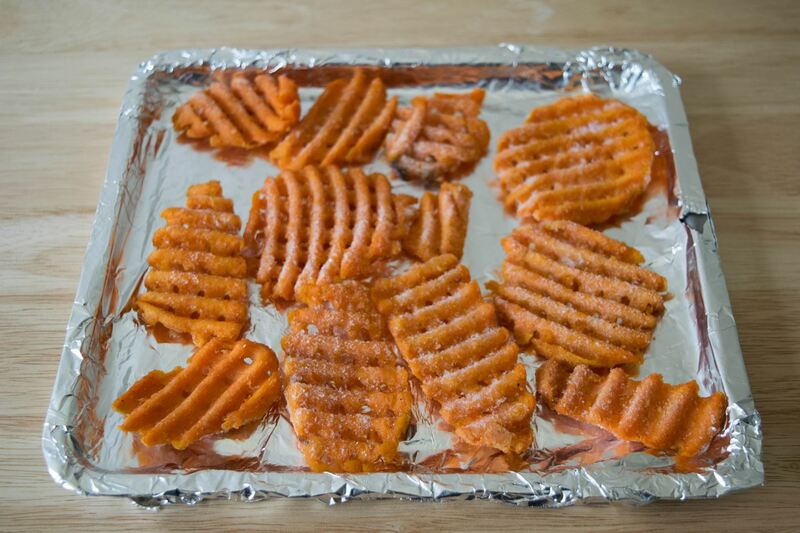 Line the bottom baking pan with aluminum foil for easier cleanup later. Make sure both items have the same temperature requirement. Place the frozen food that needs longer cooking in the bottom baking pan, since the top rack is easier to remove. 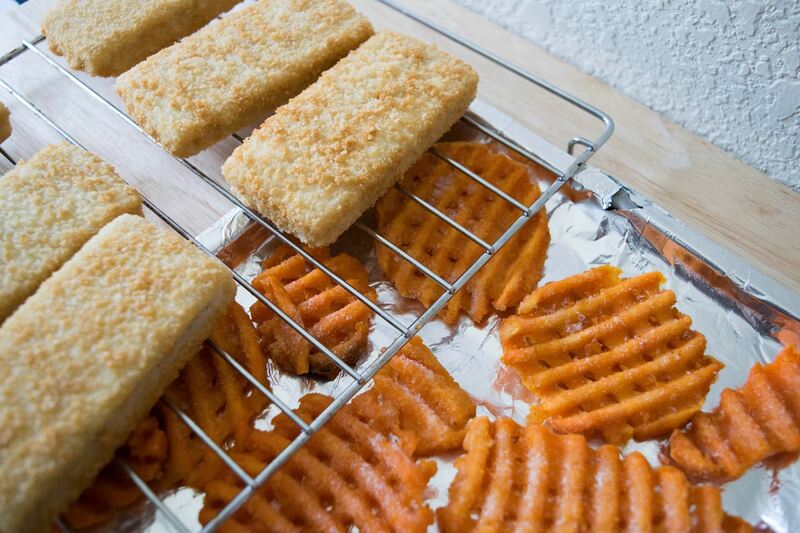 For my combo, I chose fish sticks and sweet potato waffle fries. Take out both racks, then preheat your toaster oven to the temperature stated on the packages. When ready, pop the food-filled (but not crowded) rack and tray back in, then bake as instructed, noting if either food needs flipping during the process. At the appropriate times, check both foods to see if they're crispy and browned and remove each as they're done reheating/cooking. Then, enjoy this effortless two-part meal that cooked in half the time it would have taken if you'd cooked the items separately. Add some condiments and a simple green salad, and you're good to go! Apply this magical method to your breakfast by using frozen waffles and sausage patties/links or even frozen hash browns. 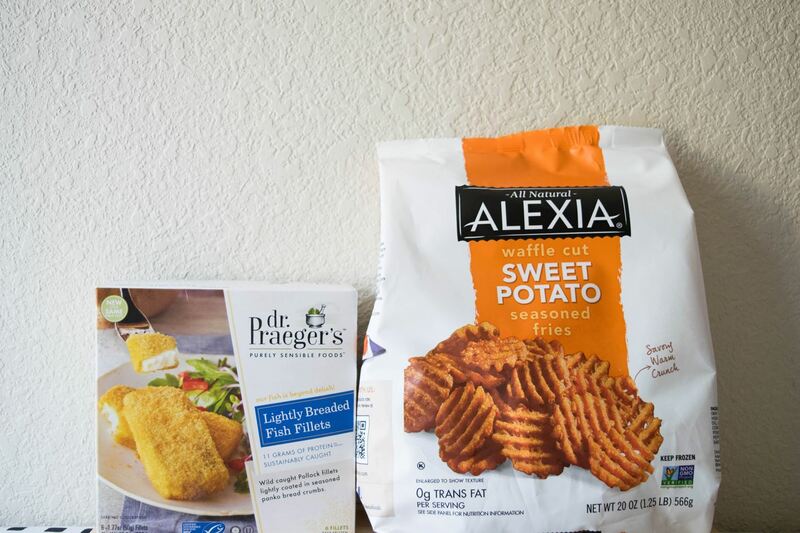 Another dynamic dinner duo is the classic chicken-nuggets-and-french-fries combo, which is the perfect accompaniment to those lazy nights when you're watching the game or binging on Netflix. 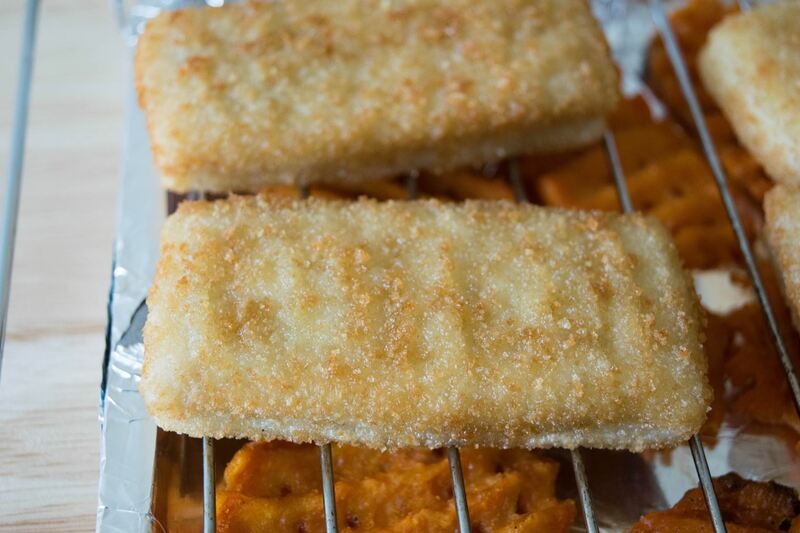 This video from BluDog35 shows you how that is done (spoiler alert: it's just like the fish sticks and waffle fries). Let us know what combos you came up with in the comment section below.